For the launch of its new Pontos S watch, a spectacular viral launch campaign produced by Maurice Lacroix and supporting a free-diving world record attempt has scooped a pair of prestigious awards within the space of just over a week. "The French Job" was given a Corporate Communications Award in the social media category at the Swiss Award-CC prizegiving ceremony in Zurich on 6 September, followed by a European Digital Communication Award for "Best Product Launch" in Berlin on 14 September. The Digital Communication Awards are hosted by the Quadriga University of Applied Sciences in Berlin and are the first awards in European PR and communications to exclusively honour outstanding achievements in online communication. Maurice Lacroix was invited to Berlin to outline the campaign personally and the jury of 30 communications experts was suitably impressed with his presentation. "The French Job" was duly chosen for the award and won out ahead of a host of high-calibre competitors including skin-care giants Beiersdorf, Domino's Pizza and German food specialists Rügenwalder Mühle. The Corporate Communications Award meanwhile was for Swiss companies and saw 42 social media campaigns enter the competition, of which 26 fulfilled the requisite criteria and were then posted on Facebook. 7,200 votes were registered, with "The French Job" securing over 3,000 of them. 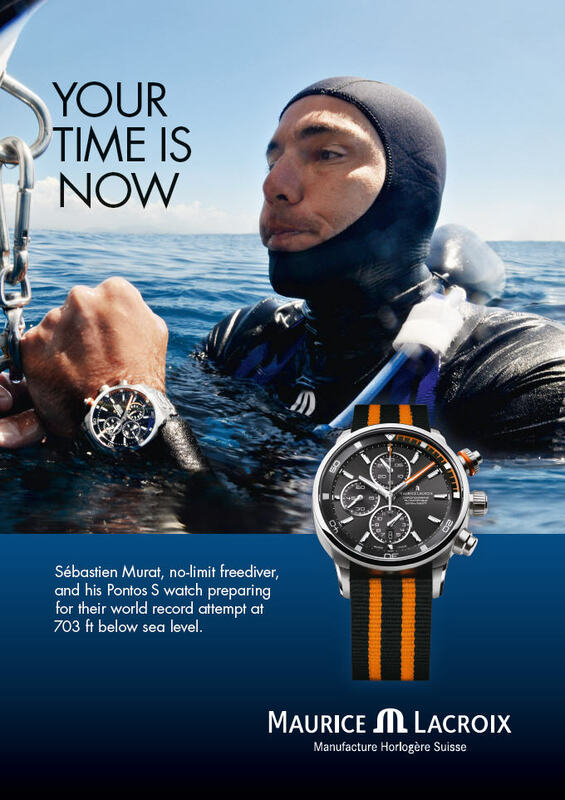 "The French Job" is a viral launch campaign for a new product, the Pontos S diver's watch, built around a world record free-diving attempt. The campaign was designed to involve the social media community and specifically targeted bloggers with high connectivity and viral potential to involve and capitalise on their networks right from the outset. It was cast as "the job of a lifetime" and saw a viral selection process through voting on Facebook which pushed bloggers to activate and involve their own communities of followers to secure a maximum amount of votes and be elected to take part in "The French Job", spending two weeks in a luxury villa in the south of France. Lacroix Since the launch of its first watch in 1975, Maurice Lacroix has evolved to become a sought-after Manufacture brand. At the end of 2006, Maurice Lacroix set up its own workshops to produce the complex components for its outstanding mechanical calibers. This development has catapulted the brand into the exclusive league of Swiss Watch Manufactures. Thanks to its numerous innovations in both technology and design, Maurice Lacroix rapidly filed a number of patents and trademarks. Maurice Lacroix is one of the world's few independent watch manufacturers and employs over 200 people worldwide, the majority of whom are based at the international head office in Biel and in the manufacturing plants in Saignelégier and Montfaucon in Switzerland. On July 1, 2011, DKSH, a Swiss company based in Zurich and a leading service-provider for market expansion in Asia, acquired a controlling stake in the Maurice Lacroix group. With 650 subsidiaries and 24,000 employees, DKSH is present in 35 countries and generated nett sales of 7.3 billion Swiss francs in 2011. Learn about the Maurice Lacroix Boutique from a previous shopping article here on Apparel Search earlier this year.